After releasing their fantastic 1999 album Anima Animus, there was a lot going on for Siouxsie and Budgie aka The Creatures. The duo released not one but two live recordings (titled Zulu and Sequins In The Sun) exclusively via their official fan club Gifthorse while also releasing a remix album Hybrids which featured remixes of their Anima Animus era tracks done by other artists. Furthermore, they released a compilation album that brought together their 1998 EP Eraser Cut and several B-sides from this era. Then, in 2002, Universal Music released a remastered compilation album of some of the Banshees' greatest hits (The Best of Siouxsie and the Banshees); subsequently, the core trio of the Banshees (Siouxsie, Severin & Budgie) plus guitarist Knox Chandler - who had played both with the Banshees (as their last guitarist) and The Creatures - reunited for the critically praised brief Seven Year Itch tour. A live album The Seven Year Itch was compiled of two of these gigs and released both as a CD and a DVD. It was however made clear that the reunion was only meant to be temporary and less than 24 hours after the final Banshees gig, Siouxsie and Budgie were already in the studio recording new material for a forthcoming Creatures album. Fulfilling a long-time dream, the duo collaborated with ex-Kodo drummer Leonard Eto. The album was recorded in two parts: the main percussion was recorded as a spontaneous between Budgie and Eto drum duet - that's right, all the drumming you hear on the album is improvised! - and the rest of the material was added after The Creatures had returned to Europe. Can't you just feel the energy, phew! Appropriately, the album kicks off with "Say Yes!" that's consists mainly of Budgie and Eto's collaborative pummeling, with Siouxsie only making an appearance in the end of the song, chanting "No more maybe / No more could be / Say yes!". The song then segues into "Around The World" which incorporates more instruments into the mix while still retaining the focus in the percussion. Siouxsie's vocals are featured more prominently, singing travel-related lyrics to further bring emphasis to travelling and new sonic landscapes, a recurring theme in the duo's work. Budgie's broad range of percussion has always been a driving force in The Creatures' material just as much as Siouxsie's distinctive, commanding voice, but here the tables are turned: due to the nature of the recording process, the spotlight is on his and Eto's improvisation, with Siouxsie spending more time in the background. 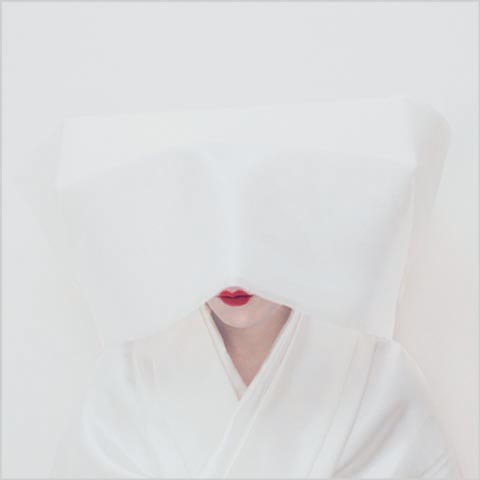 Surprisingly enough, it doesn't stand out in a negative light but plays out pleasantly instead: her voice is deeper and richer than ever before, and together with the massive, Japan-inspired soundscape creates a magical listen. Take the seven-minute masterpiece that is "Seven Tears" for instance: as one of the more melodic tunes off the album, it allows Siouxsie to bring forth whole new soothing tones of her voice while crooning seafaring-related lyrics (another nod to travelling). "Tidal tsunami / Crashing white horses / Roller, breaker / White-capped skyscraper" she sings while the vocals and the arrangements flow in unison, rolling in like majestic waves the lyrics depict. While the monster-referring song itself is all fun and games, the duo amp up the scary factor with the ominous "Imagoró" which even comes with some synths that are otherwise used very sparsely on the album. And if "Godzilla!" features witch-like cackling, here some of her vocals are delivered in a downright demonic manner. Pretty cool. Hái! is seemingly split in two parts, an A-side and a B-side. The first half of the album has significantly bigger, more propulsive instrumentation while the second half is more atmospheric and calmer. The toned-down arrangements also give Siouxsie more space to shine. "Tourniquet", one of the definite highlights if not even the centerpiece of the album, is a sensual slow burner on which Siouxsie and the boys take turns to hypnotise the listener: there is a wonderful offbeat drum solo in the middle of the song while elsewhere Siouxsie purrs, sighs and growls her way through it with her seductive vocals. The serpentine jazzy piece coils and spirals, seizing you slowly but steadily and before you'll notice, you'll have spent nearly nine and a half minutes listening to it. Yes, it's really that long and yet, you hardly realise it! The eerie lullaby that is "Further Nearer" relies heavily on Siouxsie's voice and delivers a hypnotic piece of Japanese exotica that could easily be a number sung by a devious Disney villainess that never was. The song balances between sinister and soothing with fine results: it's incredible how adaptable her singing can be. She might have had a prominent role in the '70s punk scene and the rise of the goth subculture but to pigeonhole her to either of these genres would be the silliest thing imaginable - listening to this particular LP just makes you wonder in awe how far she's come. She's truly a musical chameleon, not at all unlike the likes of Bowie what it comes to her versatility. "City Island" is another of the record's strongest tracks, even though it in fact showcases The Creatures at their subtlest - just like she sings in the chorus: "I am silent / I am still". It's an airy track that paints visions of a dream-like scenery and features an absolutely gorgeous vocal performance from Ms. Sioux. It's minimal but highly effective. Like elsewhere on the album, the lyrics are mostly all about imagery rather than actual stories, and with such a serene delivery it works perfectly. It's interesting how memorable of an experience they offer with such simple elements: the light arrangements, the beautiful backing vocals, the dreamy lyrics... just wow. It ultimately segues to the album closer "Tantara!" where the mighty percussions return for a final encore before bowing out. The song and the album then fade out to sounds of rain, though after thirty seconds of silence, Siouxsie's echoey vocals reprise the lyrics of "Say Yes!" as the last surprise. With Hái!, The Creatures return to their roots and revert to their initial minimalism. I've heard some rumours that the two were originally working on a futuristic sci-fi-oriented follow-up to their previous album, the electronic Anima Animus. They actually released two fan club exclusive singles ("Rocket Ship" and "Red Wrapping Paper") that seem to support these rumours. Whatever happened to those plans, well, the galaxy may never know, but these tracks can be seen as a missing link of sorts between the two existing albums: while they are still electronic, their arrangements are much more ambient and dreamy, like the Hái! album. However, with an album like this, you don't really long for things that could've happened. In Siouxsie's words: "No more could be / Say yes!" And boy do I happily say 'yes' to this album! A lot of longtime Siouxsie fans might have been surprised and I wouldn't blame them - this is Siouxsie like you've never heard before. Nonetheless, if there's one thing I've learnt while listening to her music, it's that you'll never know what you get. The album's not an instant experience, even by The Creatures' standards, and is definitely an album-oriented recording. The songs are exquisite even individually but grow to their full potential only when played back-to-back in the running order. Rather than using melodic hooks or lyrical storytelling, the band opts for ambience and paints ornate landscapes with their music. And despite its Japanese influences, not a single element on this album feels 'cliché' or banal - it's genuinely innovative as well. Lyrically speaking it might be the weakest effort she's recorded to date but in this context, it's not really about the words. It's not about the literal stories. It's about the emotions that the music evokes, it's about the sensations that the record arouses. This might not be music you jump to in the front row in a concert (though the songs worked really well when performed on the following tour) but rather a record you put on when taking a sunset stroll, or opening a bottle of red, or looking out of the window in a moment of pensiveness. It's a shame that this was to be the duo's final album: after the 2004 Dreamshow tour where they performed both Creature and Banshee songs with a live orchestra (a DVD release of it went to #1 in the UK) it was announced in 2007 that the two had divorced. While terribly underrated, The Creatures were one of the most thrilling experimental left-field pop artists during their time. But the music remains forever, and Hái! is a most beautiful album full of oriental exotica, amazing arrangements and guaranteed growers. Do check out. Try at least: "Seven Tears", "Godzilla! ", "Tourniquet", "City Island"